Is your INFINITI in need of a quick oil change? 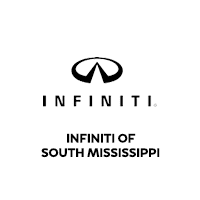 Visit INFINITI of South Mississippi for a fast, quality oil change service today! We happily provide drivers across Mississippi with the best possible vehicle maintenance. So, whether you’re traveling from St Martin, or right here in D’Iberville, we are glad to serve you. As oil flows through your engine, it cleanses and lubricates the internal parts of your vehicle. The oil works to reduce the amount of varnish and carbon dioxide that accumulates on your INFINITI’s engine. Though this process is good for your vehicle, it degrades the oil and turns it into a sludgy substance. Therefore, to keep your INFINITI running well, receiving an oil change regularly is necessary. At INFINITI of South Mississippi, our service professionals will remove the old oil and replace it with new oil that can adequately do its job. Ensure that your INFINITI is functioning at its peak performance rate by scheduling an oil change with INFINITI of South Mississippi! If you have any questions about your next oil change or other service recommendations, feel free to contact us and speak with one of our service representatives. We look forward to servicing your vehicle at our D’Iberville dealership!